The floor here is not paved, but covered in dirt, gravel, and sand. As characters walk, 1d4 of them must make a Dex or Saving Throw, or be caught in fast-moving dry quicksand. Characters have just 1-2 minutes (50-50% chance) to find some way out. Upon triggering, an incredibly powerful magical magnetic field forms in the area, drawing all metals (ferrous or not) up to the ceiling. Characters wearing metal armor are thrown to the ceiling without any chance to react, taking 1d6 "falling" damage. Do you play music during your game to set the mood? Here are the top 10 albums that have been playing in the background of our D&D sessions. A valuable item (adjust the price in gold pieces to whatever appropriately entices your players) is trapped in a block of magical ice. 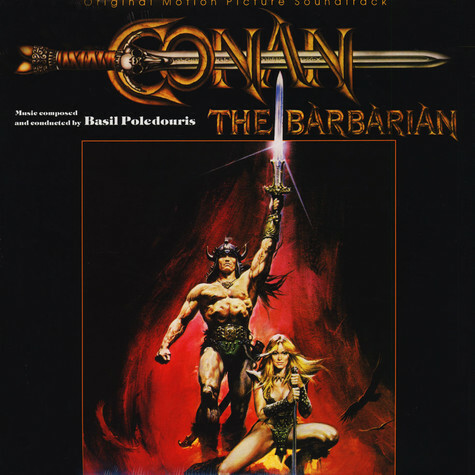 I'm a big fan of Robert E. Howard's Conan the Barbarian series. Along with the Tarzan series, I used to read Conan stories while visiting my grandparents, because my grandfather had a vast collection of dime novels stashed away in his workshop.